I first started fly fishing when I was a teenager and immediately loved it. There was something artful and soothing about the back and forth motion of the rod and line. I found it to be more engaging than fishing with a standard rod and reel. However, my serenity faded when I started looking at flies. The person that first encouraged me to fly fish always tied his own flies, and I certainly was not ready for that. When I hit the store to pick up some flies, I noticed that the selection was huge. I was used to having about a dozen different types of lures to choose from. There were hundreds of flies with many looking bizarre and having strange names. I ended up having to just randomly select some flies to try them out. When I got to the water I noticed that about half of them floated on top of the water while the other half sank below the surface. They seemed to work fine. However, the strategy changes when you take your fly gear to the sea. In general, saltwater fish are going to be much more interested in flies that sink below the surface and imitate bait fish. You are best to leave your top-water flies at home. You will also need some flies that imitate other sea creatures such as shrimp or crab. Here are some of the top flies to consider when fishing in salt water. This unique design is excellent for both fresh water and salt water. It is especially important for anybody wanting to fish in saltwater flats. It has an upside-down tie design that keeps your hook facing upwards. This helps to prevent any snags. The shrimp replica is one of the most realistic representations of a sea creature you will ever find. In the water it looks almost identical to the real thing. It also causes some noise and motion when it first hits the water, so it will actually draw fish into the area to create interest. Unlike most other lures, this lure is not designed to look like any one particular creature. The everglades are a unique environment where saltwater meets freshwater. This draws in hundreds of different creatures. By being intentionally ambiguous, the everglades special imitates over a dozen different baitfish giving you the best chances of catching the interest of a fish. The pinfish is one of the most common saltwater bait fish you will find. Because of that, any fly that imitates the pinfish will give you a pretty solid chance of success when saltwater fishing. The GT pinfish is very realistic and should be a must for your collection. This lure is designed to imitate a small crab, one of the most popular food sources in the sea. However, it is designed like the clouser minnow so that the hook remains upright as you pull it through the water. The fly will sink to the bottom where crabs naturally can be found, so keeping the hook upright will prevent snags and keep your fly moving. 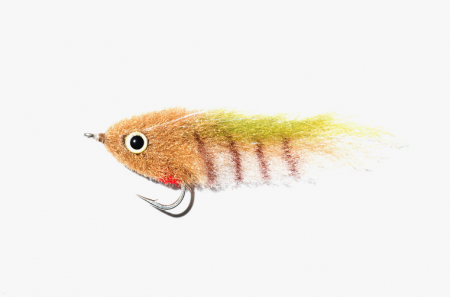 This fly is another popular streamer designed to imitate baitfish. It was designed by Lefty Kreh, a world famous fly fisherman. His goal was to create a fly on which the material would not wrap around the hook. This would maintain the shape of a baitfish when other flies would lose their shape. It is one of the most popular fly designs you will find. The gotcha is one of the most target specific flies you will see. 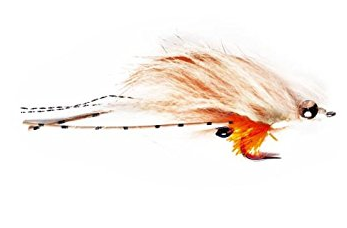 If you are trying to catch bonefish, you need to use this fly. It is that simple. It works perfectly to imitate the food source for the bonefish. In fact, if you are only fishing for bonefish you may want to bring several of these. They are just that effective. When fishing in salt water, shrimp flies are one of the most important ones to bring. The mantis is a solid backup for the disco shrimp and is specifically good at bringing in carp. However, shrimp flies in saltwater will bring in just about every fish you can imagine. 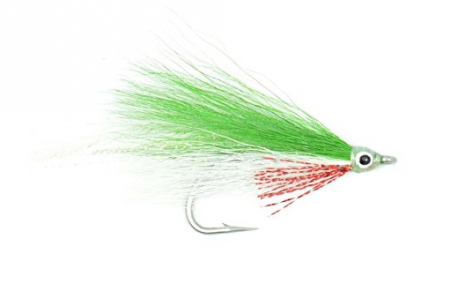 This fly is an excellent choice if you intend to go after striped bass. It is said that a New York lawyer was experimenting with different elements from different flies and came up with this design by accident. 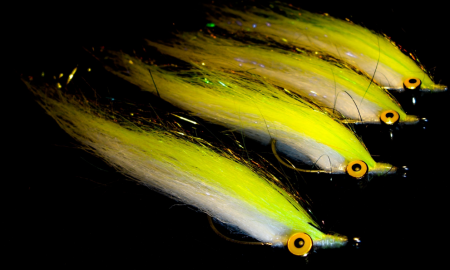 It will bring in several species of fish, but is a must have fly for stripers. Hopefully this gives you a good selection of flies to target for your next saltwater fly fishing trip. 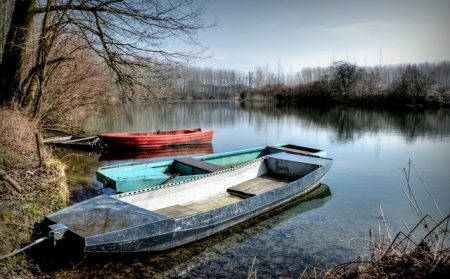 Think about where you will be going, what fish you will be targeting, and what food sources they crave. This will help you narrow down your choices and pick the perfect fly to bring in plenty of fish.